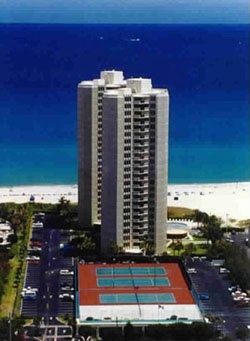 Built in 1973 with 176 units in two, 24-story towers. Each tower has 88 two bedrooms units. Two bedroom two bath. Amenities includes a heated swimming pool,tennis courts,library,cardroom,social room, Each condo comes with a deeded parking space for the unit. No pets are permitted. These condos are walking distance to banks, grocery store, gas station and many restaurants. Also, enjoy Sailfish Marina Thursday night art shows. Welcome to Phoenix Towers, a 23-story high-rise condominium, built in a perfect setting along the beautiful beaches of Singer Island on the Atlantic Ocean.